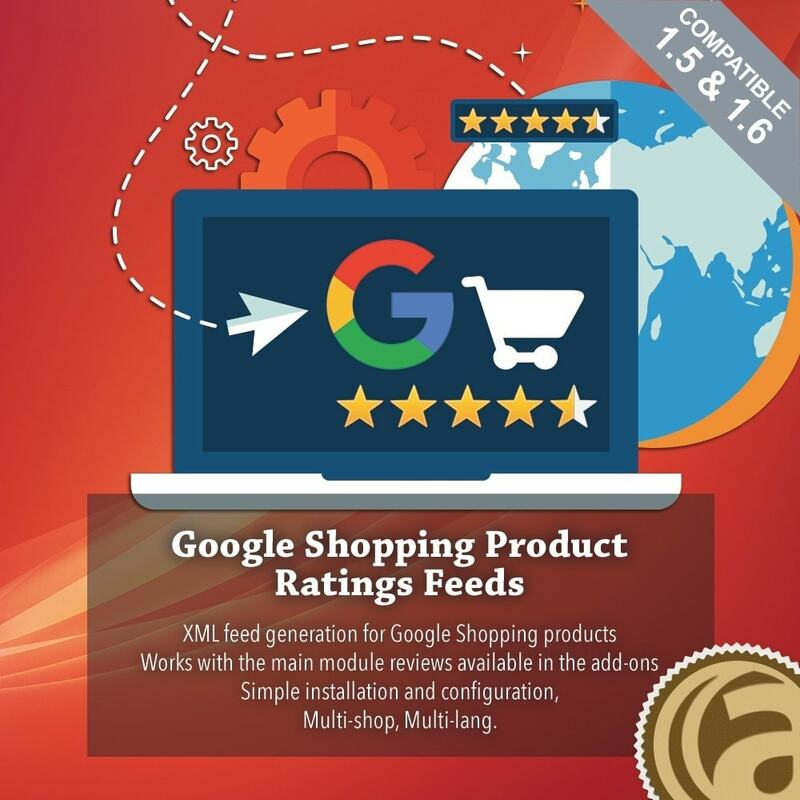 The «Google Shopping Product Ratings Feeds» module is the first that allows you to push up your product ratings in Google Shopping. 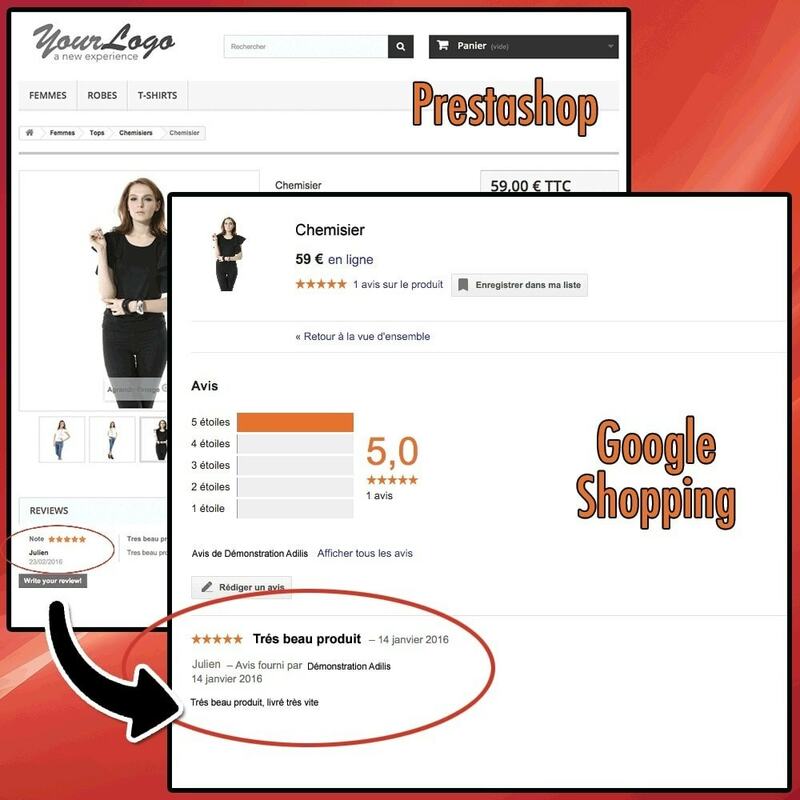 Be among the first merchants to push up your product reviews through your ads in Google Shopping. Product reviews provide critical information to shoppers making purchase decisions and help advertisers drive more qualified traffic to their site. To help shoppers easily find this information, we now show product ratings on Product Listing Ads in eligible countries (please see availability below). Product ratings show on Product Listing Ads with a 5-star rating system and a count of total reviews. Product ratings on Product Listing ads on Google.com are available in the following countries: United States, United Kingdom, Germany, France, Japan and Australia. 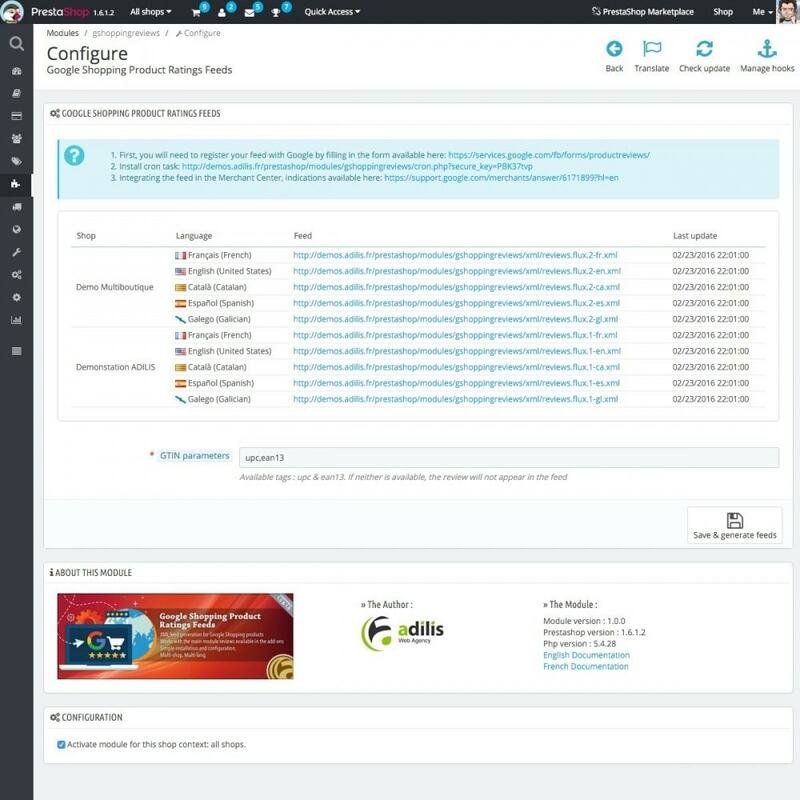 If your review module is not compatible with this one, do not hesitate to make the request (Modules compatibles : Product comments from Prestashop, Fianet, GSnippetsReviews from BusinessTech et Avis vérifiés). It is necessary to have a Merchant Center and AdWords account in order to activate the product reviews in the Merchant Center.